Good morning! 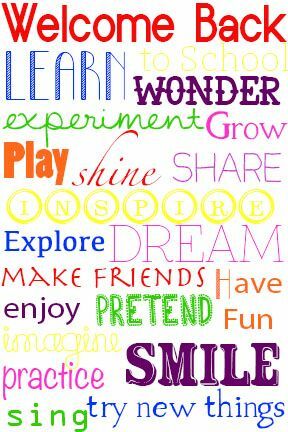 A very happy Friday and a three day weekend to you! I know that this is the unofficial end of summer but we do have another 22 days left before Fall officially starts so lets savor them. 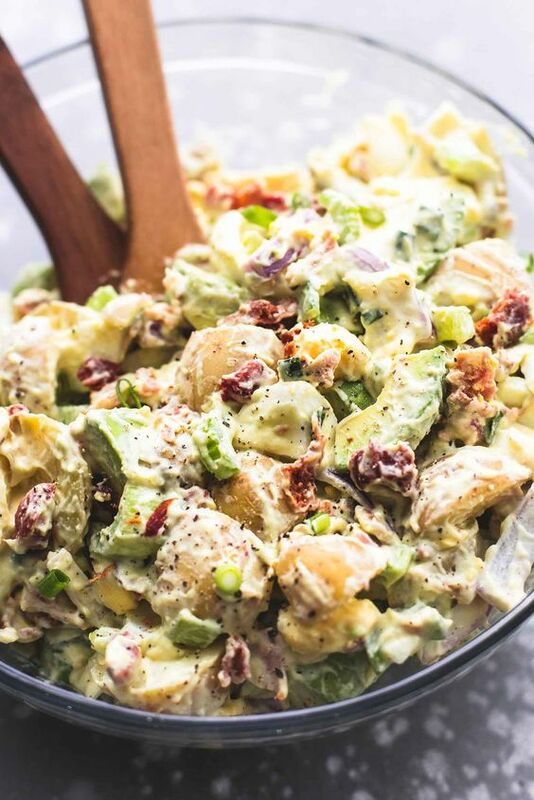 If you are attending or having a bbq this weekend you might want to add this Bacon Avocado Potato Salad from Creme de la Crumb to your menu. 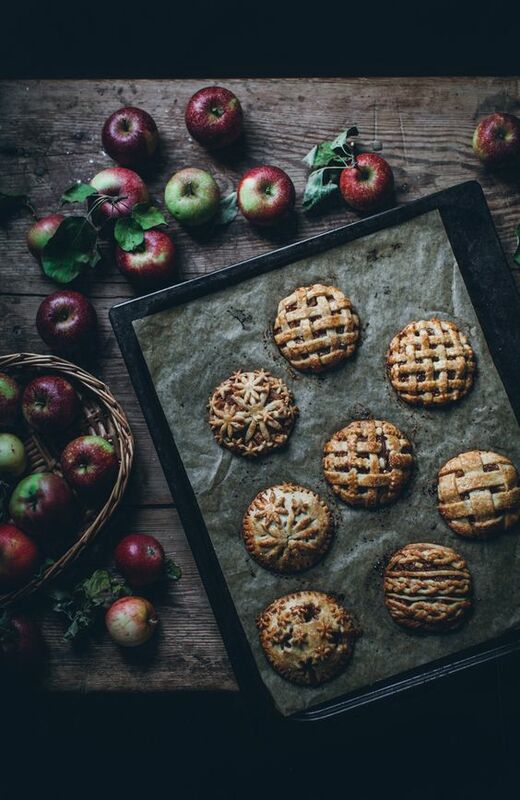 You could add these Apple Hand Pies from Call me Cupcake as well or pin them for later. 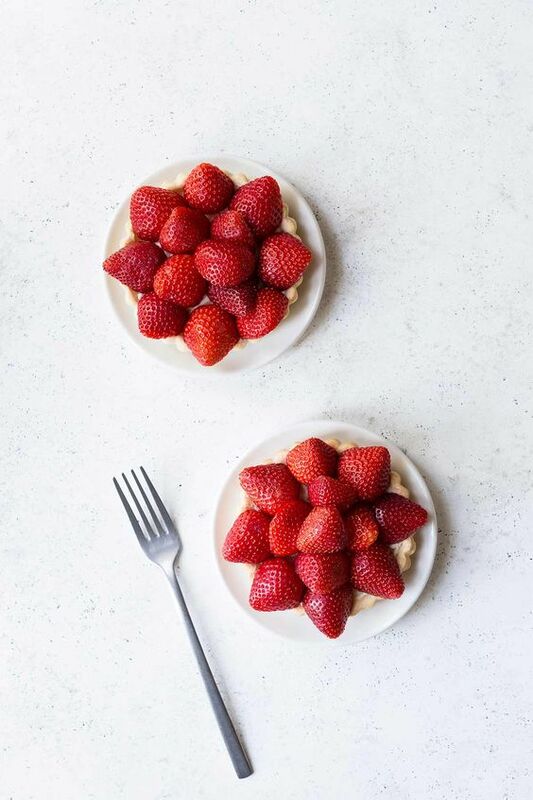 I think these Strawberry Tart from Savory Simple would be a welcome addition to your weekend table. 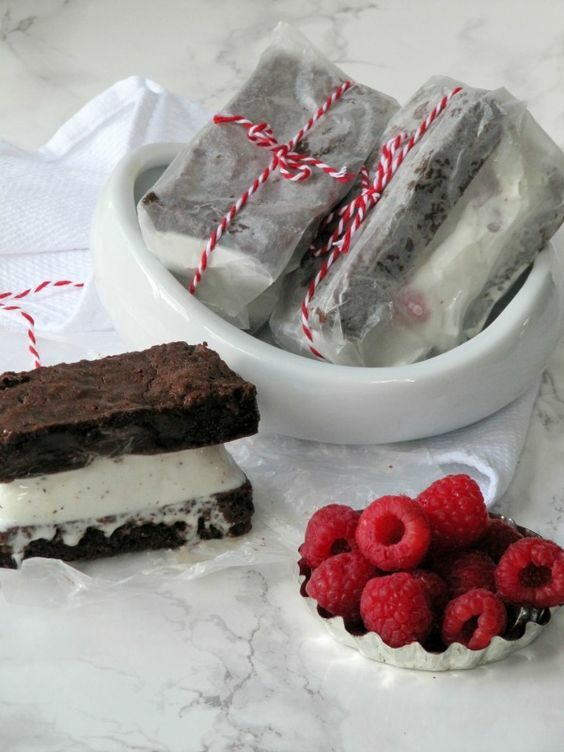 If it is hot and humid, as it will be here, an icy, cold refreshing Raspberry Brownie Ice Cream Sandwich might suit your taste. 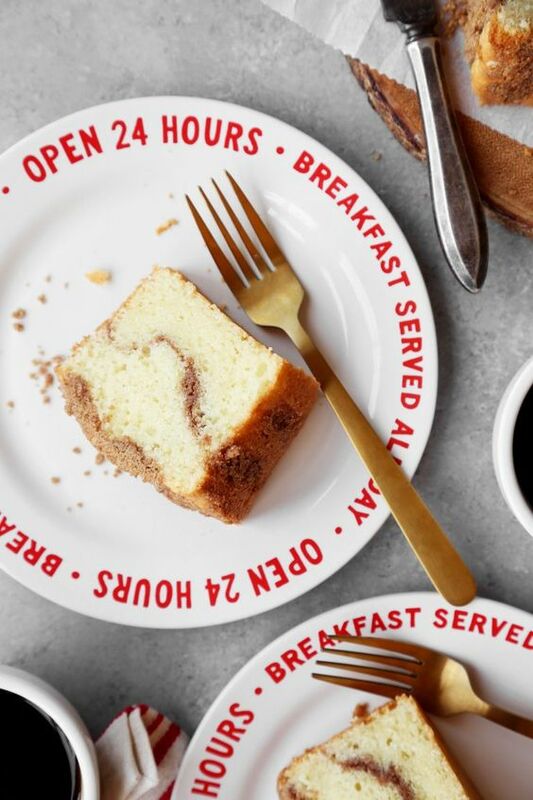 I love sweet breakfast foods, like pancakes, almond pastry and Classic Sour Cream Coffeecake. I can't wait to try this recipe from one of my all time favorite blogs The Candid Appetite. 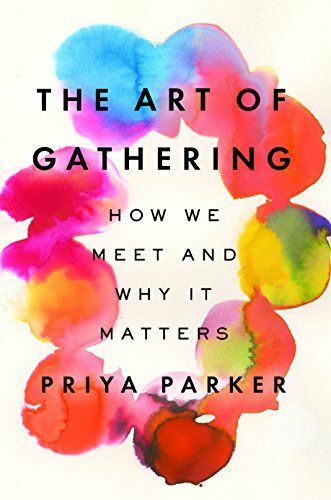 Joy the Baker mentioned this book, The Art of Gathering: How We Meet and Why it Matters and I think it sounds interesting so I ordered it from Amazon and I will let you know what I think of it. 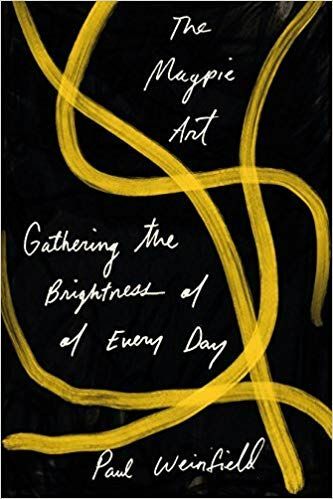 While I was looking for that book I discovered another book about gathering, The Magpie Art: Gathering the Brightness of Everyday and although I did not order it I have it on my list. 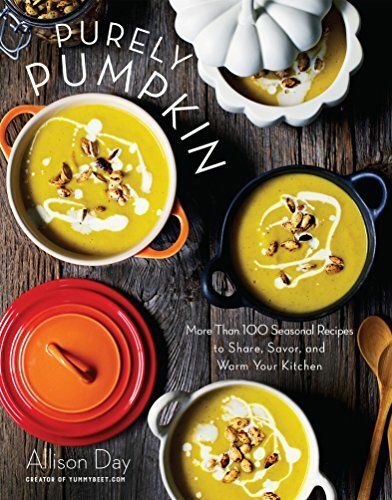 I know that I mentioned pumpkin spiced latte's a few days ago and although I do not drink them I love pumpkin bread, soup and more so a book that has 100 pumpkin recipes is right up my alley and I now have this on my list at Amazon as well. 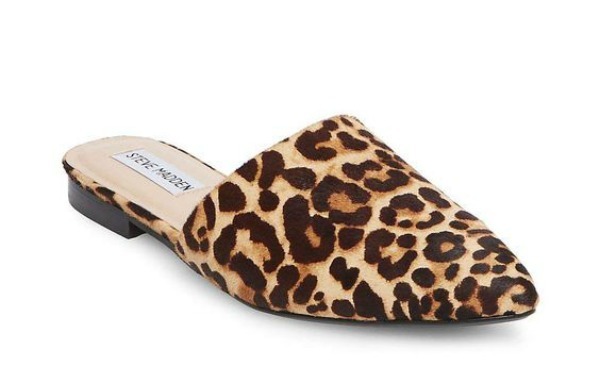 If you are already looking for items to update your Fall wardrobe you might like these leopard mules. 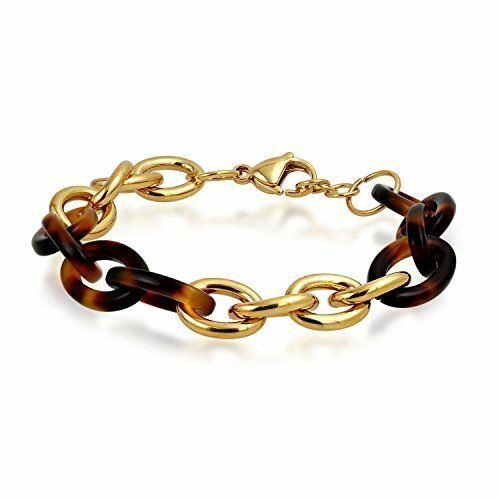 Or maybe this faux tortoise shell bracelet? 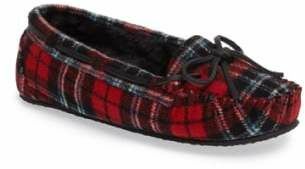 I ordered these plaid slippers because my last pair of Minnetonkas wore out. If you are not familiar with Minnetonkas they are great slippers, comfy and sturdy especially when going in and out to let your pups out in the winter. That is all of my favorites for this week. I hope that you share your books, movies, podcasts, recipes and whatever else you found interesting this week. Just Curious...What Have You Been Reading This Summer? Good morning! How is your week going? Mine has been great. I was a wee bit tired from being out of town last week and then waking up on Monday at 2:30 and not going back to sleep but I have caught up on my sleep, rejuvenated myself at yoga and now I am savoring the hot, steamy, sunny weather. Now that pumpkin spice, ghosts and goblins and tartan is everywhere I am savoring the waining days of summer. In the afternoon I love to sit of the porch and read and lately I have been reading a lot. So I thought I would share a few of the books I loved. 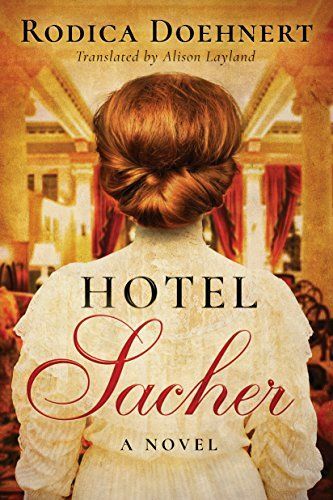 Hotel Sacher by Rodica Doehnert. 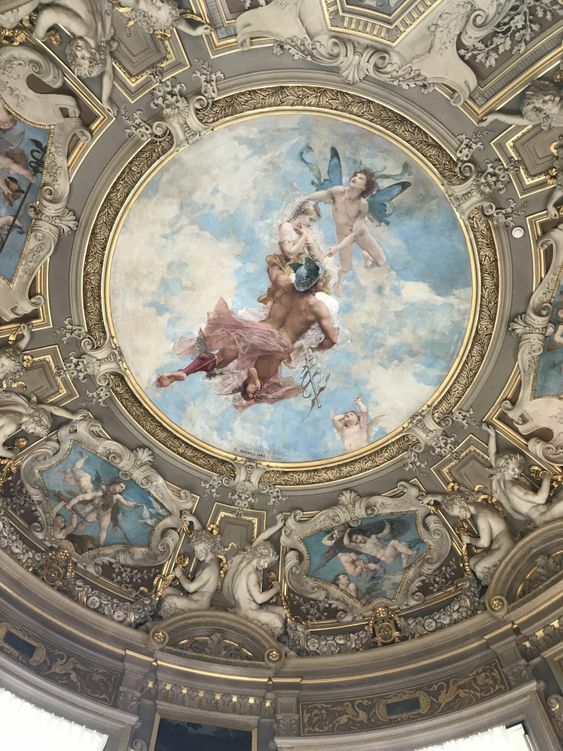 Through its opulent halls stride visitors from all walks of life, including some of the most glamorous figures of Viennese society—opera singers, princes, princesses—and the maids and manservants who wait on them. !00 Days of Happiness by Fausto Brizzi. What would you do if you knew you only had 100 days left to live? For Lucio Battistini, it’s a chance to spend the rest of his life the way he always should have—by making every moment count. Imperfect, unfaithful, but loveable Lucio has been thrown out of the house by his wife and is sleeping at his father-in-law’s bombolini bakery when he learns he has inoperable cancer. So begin the last hundred days of Lucio’s life, as he attempts to right his wrongs, win back his wife (the love of his life and afterlife), and spend the next three months enjoying every moment with a zest he hasn’t felt in years. 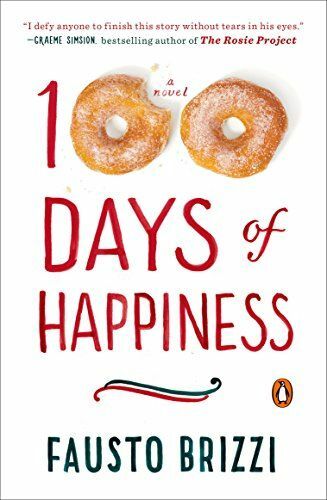 In 100 epigrammatic chapters—one for each of Lucio’s remaining days on earth—100 Days of Happiness is as delicious as a hot doughnut and a morning cappuccino. 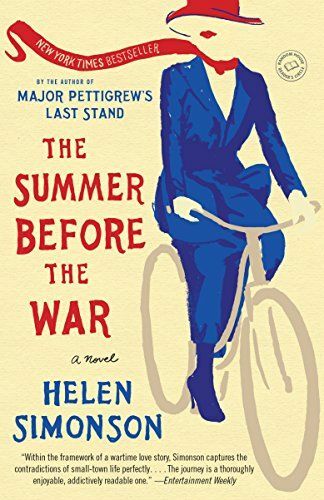 My friend Jeanne of Collage of Life sent The Summer Before the War by Helen Simonson to me a few weeks ago and I read it a few weeks ago. 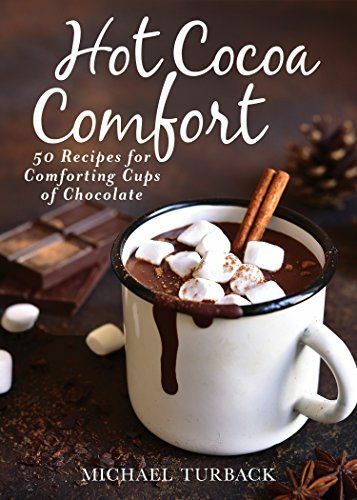 I just got Hot Cocoa Comfort and I cannot wait to expand my hot chocolate palette. 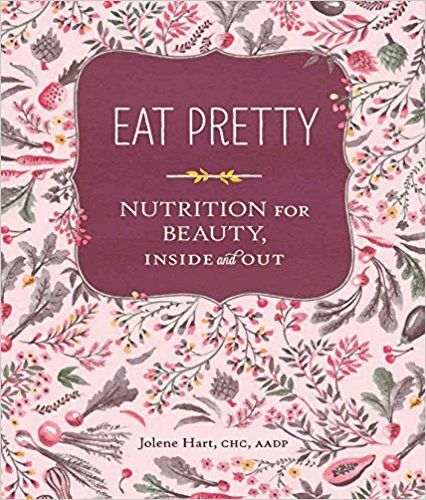 This recommendation is and oldie but a goodie. 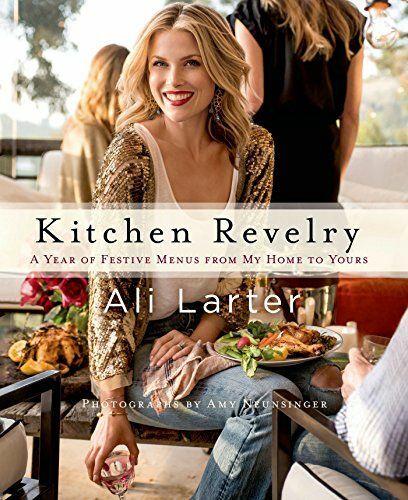 I love cookbooks and have a ton of them, Kitchen Revelry by Ali Larter is one of my absolute favorites.Typically I make 5-10 recipes in a cookbook but this one I have baked and cooked about half of the recipes in this book and I love them all. What have you been reading this summer while lounging at the pool, sitting at the beach or just relaxing? 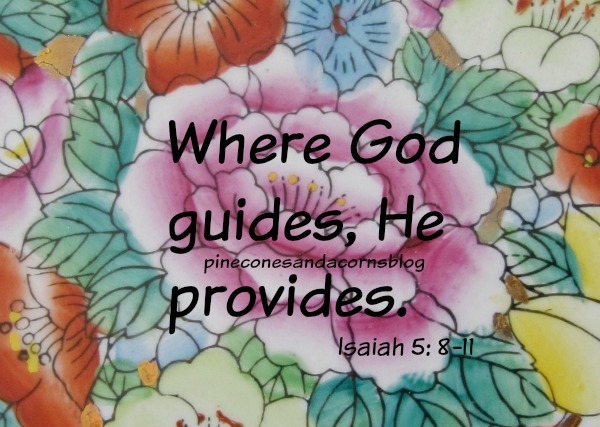 Have you discovered anything new or have you been reading old favorites? 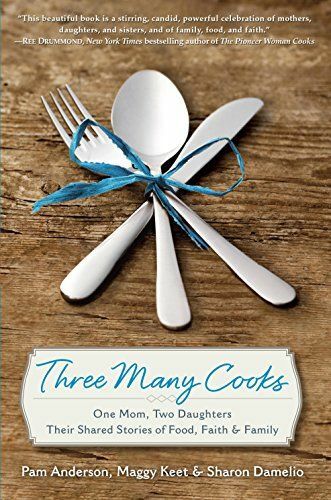 Please share your new finds and of course if you have a favorite cookbook for Fall and Winter please share that as well. Good morning! Although it is going to be 93 today and Fall doesn't actually start until September 22nd, Starbucks has decided to get a start on the season by serving its Pumpkin Spice Latte starting today. If you don't feel like braving the crowds you can make this copycat version! Pumpkin spice is "the flavor" of Fall at least to my tastebuds. 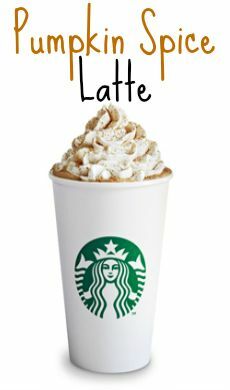 I do not drink latte's but I will add pumpkin spice to everything else, like cheesecake, hot chocolate, soup, bars and of course pumpkin pie! I have not purchased any pumpkins yet but I love to have a candle lit during the day to add the scent of the season to the house and I have been known to munch on cereal and popcorn to get my pumpkin spice fix. 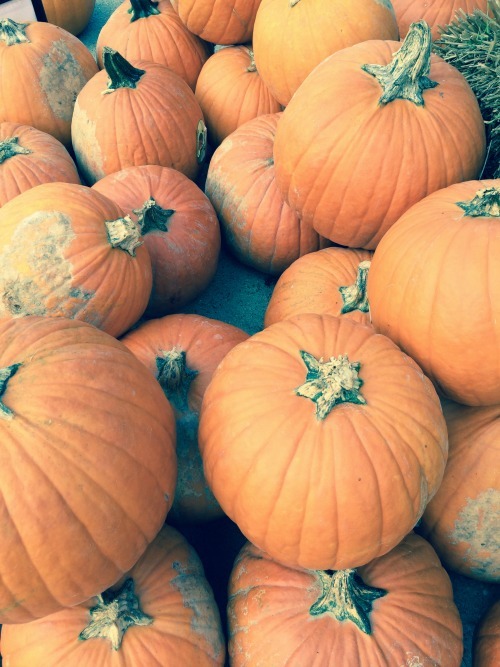 Are you a pumpkin spice lover? 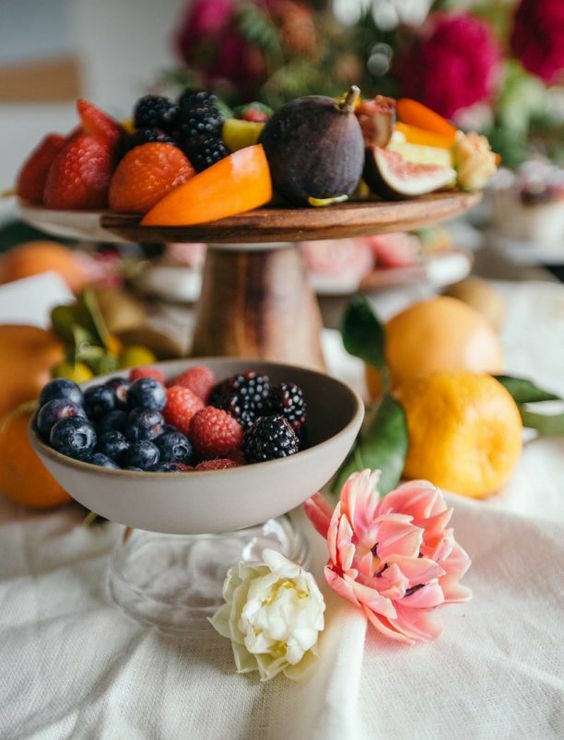 What are your favorite ways enjoy it in the Fall? 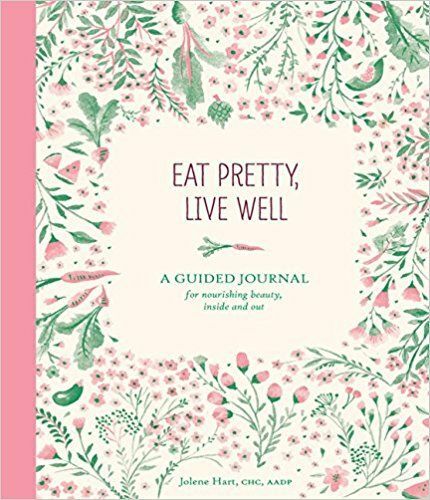 Do you have any sweet or savory recipes that you make? If you have a favorite please share it with us. Enjoy your first PSL of the year and have a wonderful day! Good morning! A very happy day to you. It is a beautiful sunny day here with more in store for the rest of the weekend. 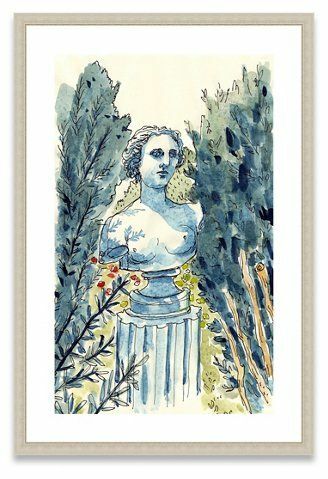 Although I have some things to get done around the house I might just postpone them to enjoy the beautiful weather because the cooler temps will be here to stay soon. 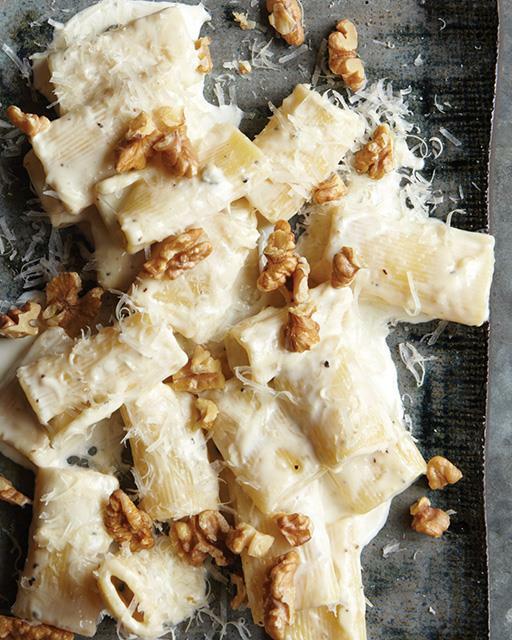 I have been bookmarking comfort food and this Gorgonzola Walnut Pasta is at the first thing I want to make. 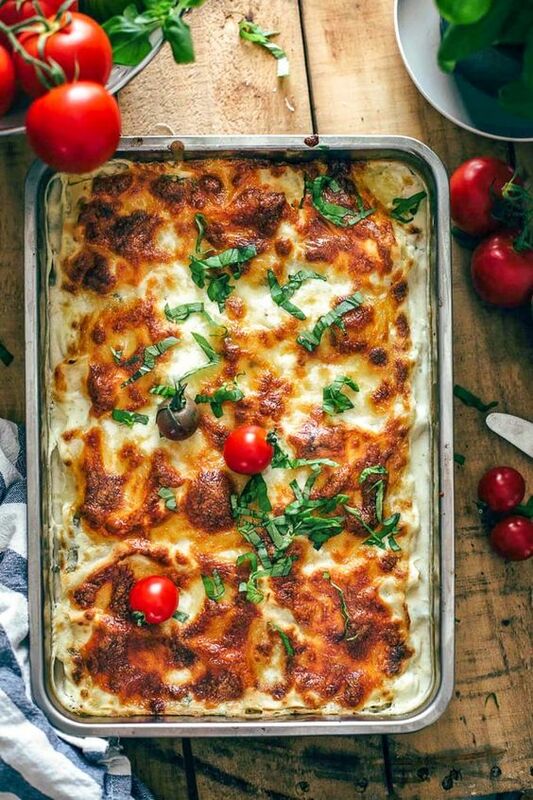 I love lasagna but have never made white lasagna so I think this White Chicken Lasagna from Cookie Rookie is another one of the things I will be making soon. Chocolate, peanut butter an bananas, sound great to me. 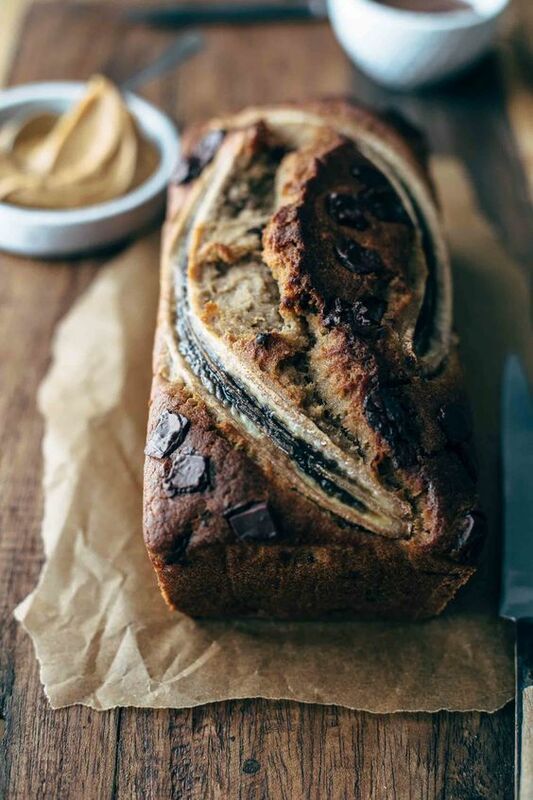 This bread from Also the Crumbs Please is on my list for cooler weather baking. 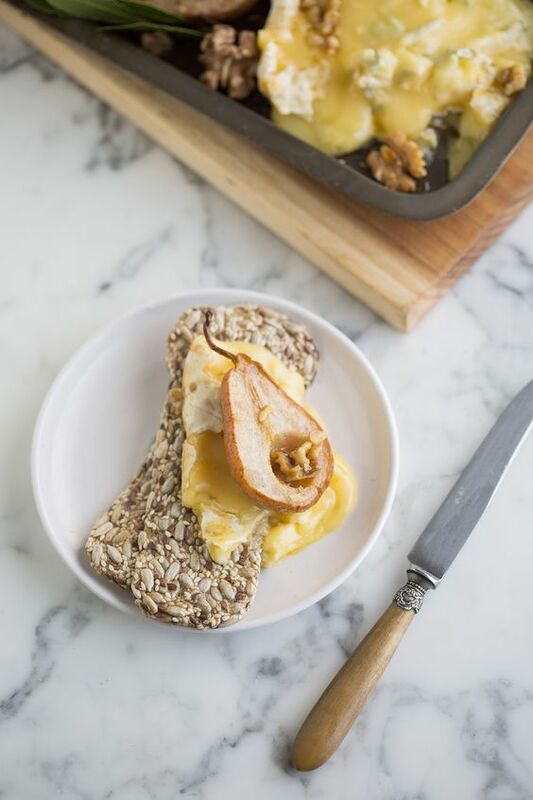 Oh my goodness, doesn't this Maple Roasted Pears with Camembert and Walnuts look fabulous? I love this series of Serena's Traveling Solo in Paris. Just finished re-reading this classic book. If you like tacos then you might enjoy Taco, Taco, Taco! 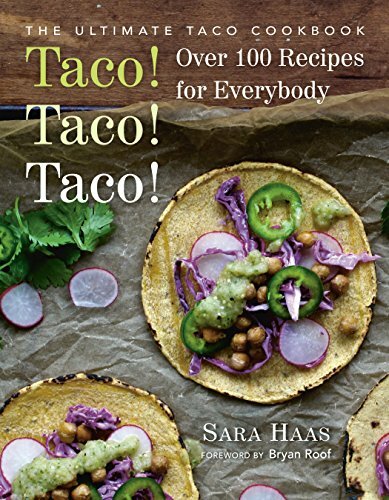 The Ultimate Taco Cookbook with over 100 taco recipes. 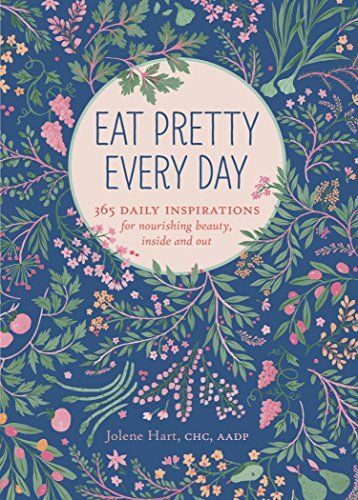 I just got this book and I cannot wait to add a few of these tacos to my Tuesday line-up. 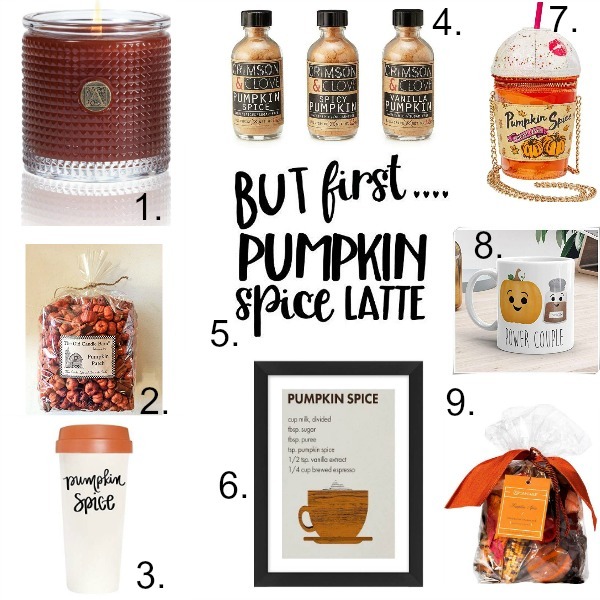 I don't like pumpkin spice lattes but I love everything else pumpkins spice, especially soaps an lotions. By the way if you like Starbucks PSL you can get this years fix on August 28th! 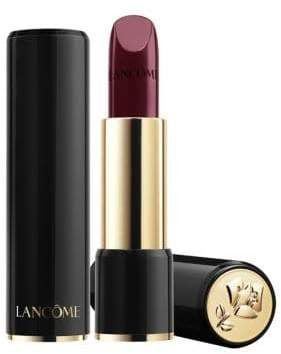 I love this lipstick ! The color is beautiful. If your hair has gotten damaged from the summer sun and water you need to try Olaplex. 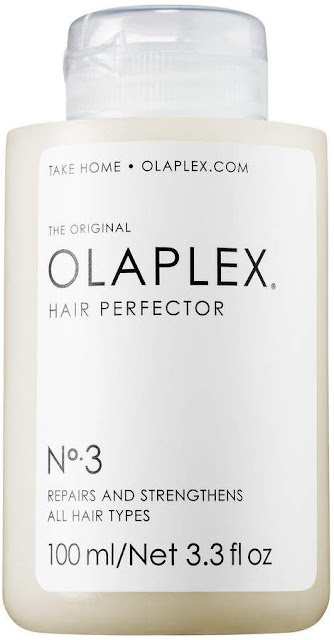 I have been getting Olaplex treatments at my salon for the past 2 years and only recently learned I could do them at home as well. This treatment will help repair you damaged hair and make it healthy and soft again. It is expensive but it is worth it. I personally think you can never have enough tartan in your wardrobe it is classic. I hope that you have a wonderful weekend. Please share your books, movies, podcasts, recipes and whatever else you discovered this week. Just Curious...What Are Your Favorite Back to School Memories? Good morning! How is your week going? Mine is busy but going well, as always I am looking forward to the weekend. Is there a person that doesn't? If so I have never met them. 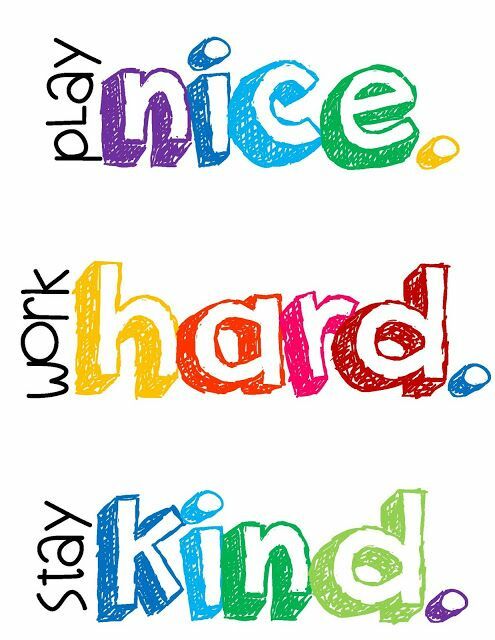 I have been thinking this week about school, after all it is "back to school" time. If you couldn't remember it on your own there have been sales and signs for weeks online, in the stores and on TV talking about paper, books, uniforms, markers and more. I am removed from these things because I do not have kids but I do remember my own experiences getting ready to go back after a long summer at camp, playing with my siblings, unstructured days of vacations and staying up late. I have a few fond memories of going back to school and I thought I would share them as I hope you do as well. 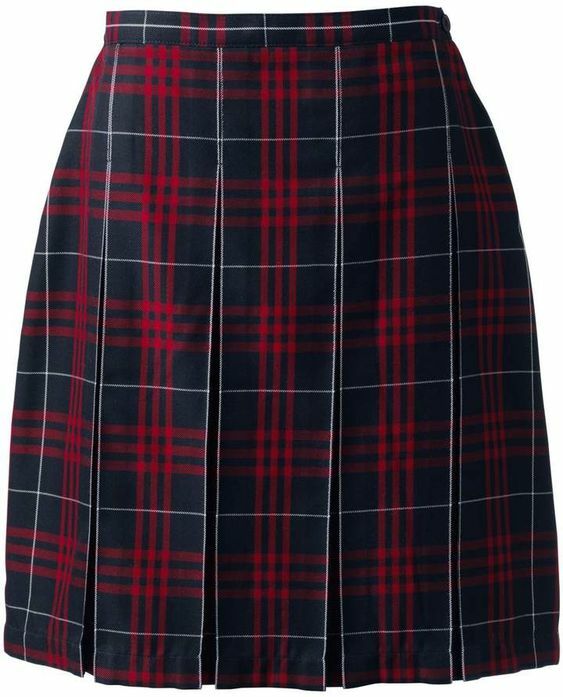 I went to small private or Catholic schools from K-12 and always wore a uniform so I never went back to school shopping for clothes but every year we went to the uniform store to get our newest shirts, jumpers, skirts, vests and more. 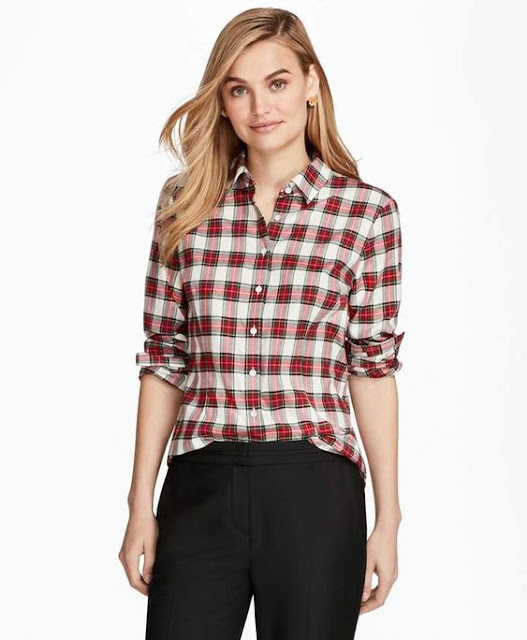 While in grades K-8th we all worn a baby blue plaid jumper with a white blouse with a round collar. I never liked those jumpers, it is hard to look stylish in a jumper and frankly no matter your size those jumpers made you look at least 2 sizes bigger than you were. Once I got to high school we transitioned to burgundy plaid skirts (this uniform above which is still sold is the same one that I wore) and white oxford shirts, that was a happy day the day. I can remember thinking I was so stylish in my skirt, white button down shirt, and blue cardigan paired with ankle socks and blue Sperry boat shoes, no socks in the summer and white socks in the winter. 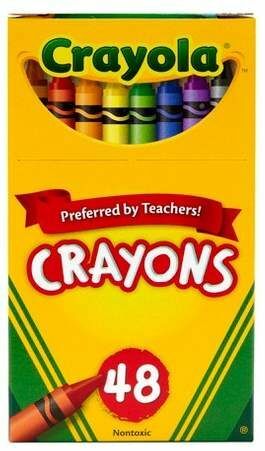 Do you remember when you were in grade school and we each had a box of crayons, the box with 8 big fat crayons? I can't remember exactly how old we were but I can remember being so proud when I "graduated"to a box with 48 crayons. 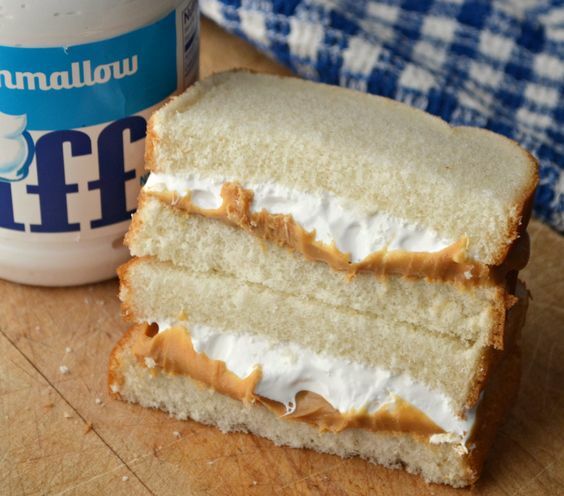 Typically for lunch I would take a peanut butter and grape jelly sandwich on wheat bread but on special days I would get to take a peanut butter and fluffernutter sandwich. 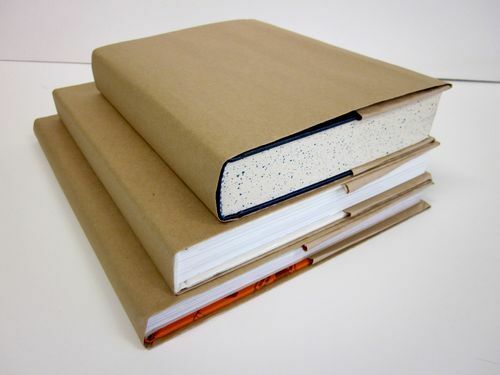 I loved getting my school books and covering them in brown paper do you remember that? And then when you were supposed to be listening in class you would have a place to doodle instead of listening. Do you remember the Trapper Keepers and the 5 star folders? 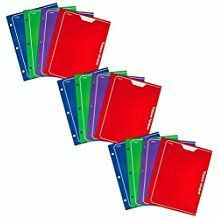 I loved those and I was meticulous about keeping my papers organized with them. 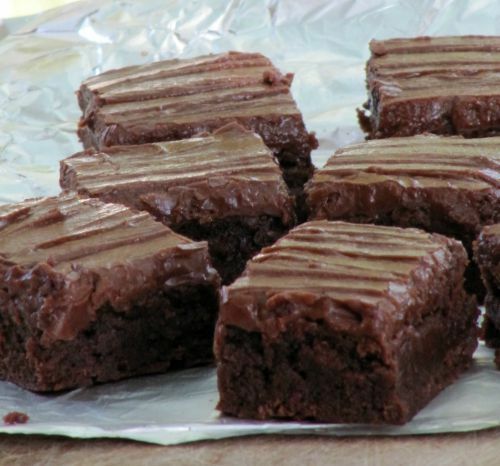 I remember in grade school my favorite hot lunch was pizza day and in high school our lunch ladies made the best brownies. Did you like school? Do you have a favorite memory of going back to school? If not do you have a favorite memory of sending your kids or grandkids to school? If so, please share I would love to read about your memories. P.S: If you have a life long love of learning here are 8 Free Learning Resources. Good afternoon! I am getting a little bit of a late start to the day. How is your week going so far? Have you been feeling a little bit of Fall in the air? I have on my early morning walks but then by 10:00 it is hot and humid again. I love art and I love discovering new people. As I mentioned before I am drawn to all sorts of art and photography. Recently I came across these black and white drawing of Notre Dame and Sacre Coeur in Paris and thought I would explore more of the artists work. 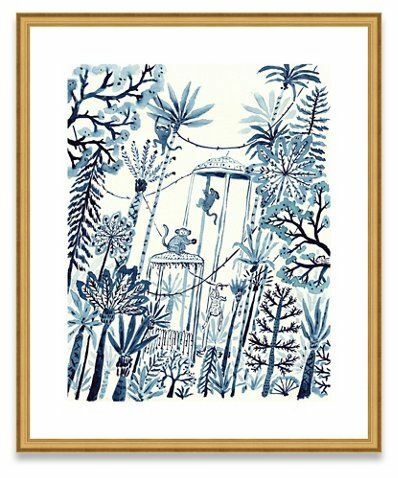 Vikki Chu is an illustrator and designer. She was born in Massachussetts, raised in New Jersey, and currently resides in New York City. 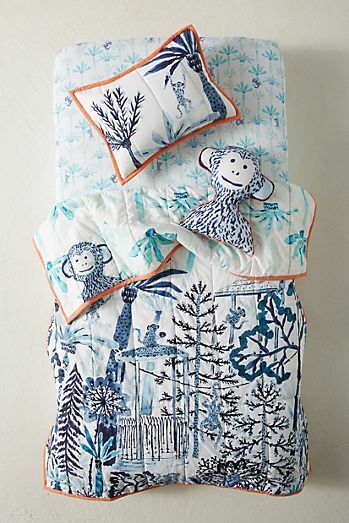 Her art graces fabric tents, HERE, pajamas(sadly no longer available), an adorable kids monkey quilt (HERE), books (HERE), notecards (HERE), fabrics (HERE) and more. 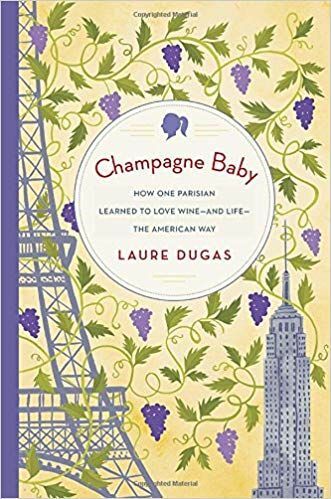 And this book, Champagne Baby (HERE) which I just ordered. I thought this review was inspiration enough to read it. 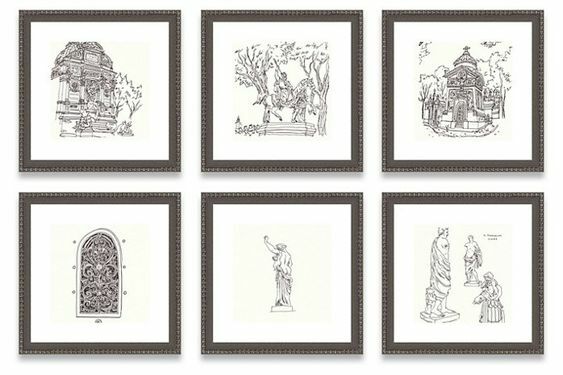 The beautiful black and white drawings are a favorite, can you imagine these 6 prints (HERE) gracing a gallery wall? 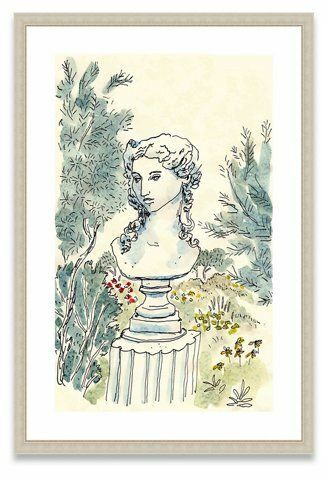 Or perhaps a pair of colorful busts in the garden (HERE) flanking your bed? 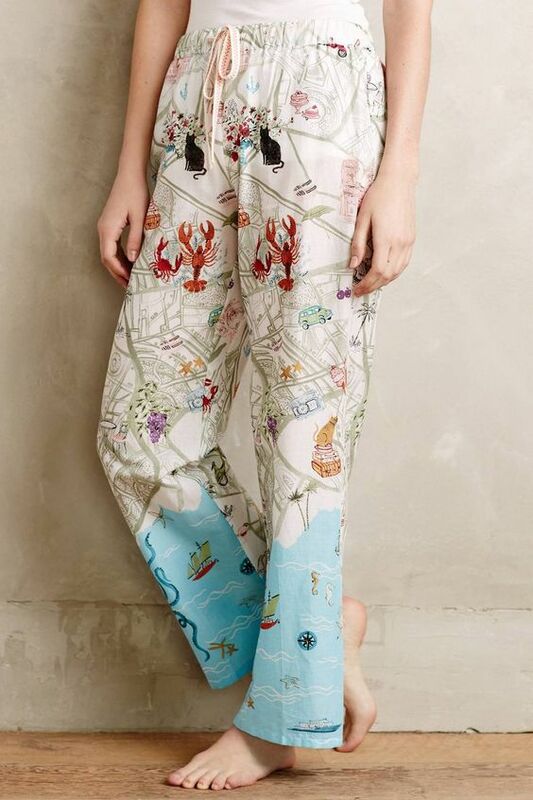 Or maybe even these Cheeky Chinoiserie Monkeys? 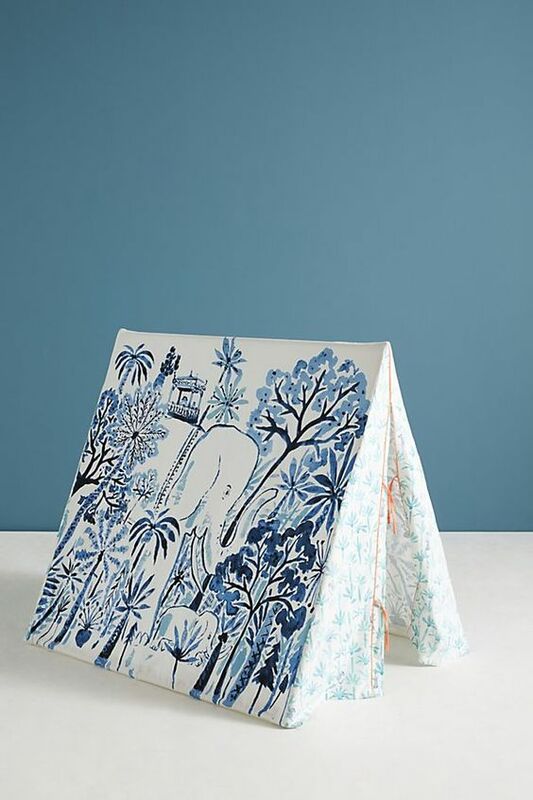 I think this piece would look beautiful in a bathroom, hall or on a gallery wall with other blue and white pieces. If you would like to learn more about Vikki Chu check out her website. 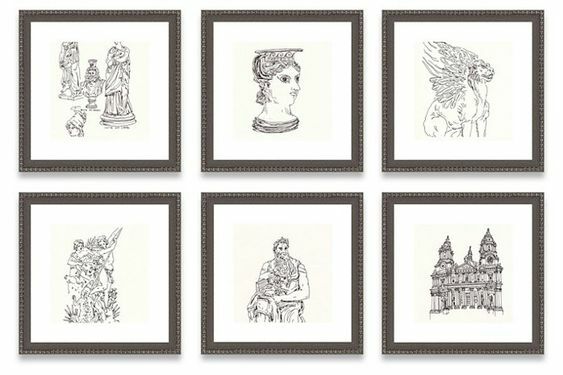 And if you are interested in more of her art click any of the images below. Note: If you click any of the links I will earn a small commission.